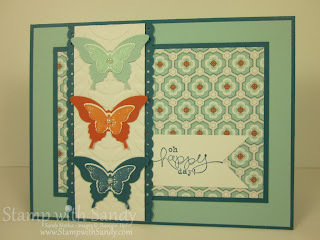 Stamp with Sandy: Let The Sale-A-Bration Begin! 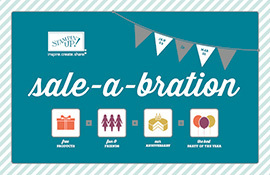 For every $50 you spend on Stampin' Up products from now until March 22, 2013, you will earn one free product from the Sale-A-Bration brochure. There are lots of options, 19 to be exact! 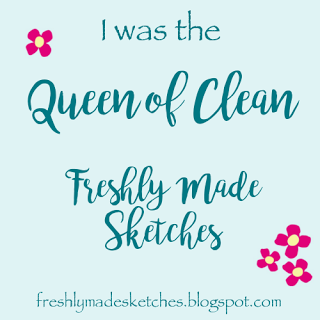 There are stamps, designer series paper, card stock, even tools to chose from! If you hold a workshop you can earn even more. With a workshop (or purchase) totaling $150 or more, you'll also earn a package of Silver Glimmer Paper on top of your $25 hostess dollars. With a workshop totaling $400 or more, you'll earn a free product bundle (stamp set, designer paper, ribbon and buttons), a free package of Silver Glimmer Paper, $65 hostess dollars and 50% off one full price item. Wow, what a sweet deal! 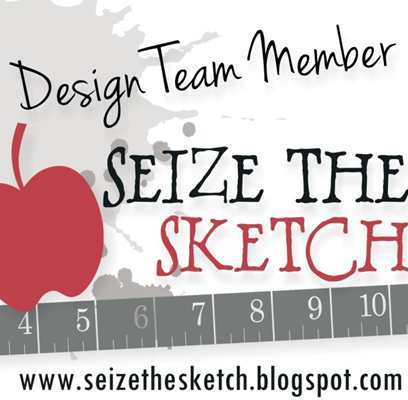 Are you interested in becoming a Stampin' Up Demonstrator? Now's the time. You'll get 25% more in your Starter Kit! Choose $156.50 worth of products and pay only $99! That's on top of all the other amazing benefits of becoming a Stampin' Up Demonstrator! View the Sale-A-Bration flyer by clicking here. Vew the Sale-A-Bration opportunities flyer by clicking here. View the Sale-A-Bration MDS Products flyer here. View the Sale-A-Bration Spanish flyer here. Need ideas for your order? Check out the new Spring Catalog here. To request a copy of the Sale-A-Bration flyer, or if you are interested in becoming a Stampin' Up Demonstrator, click here. 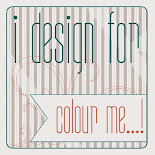 To shop Stampin' Up now, click here!